I love Eid ! The festival , the Holy Month of Ramazan , the never ending Eid preparations till Chand Raat and finally the Eid day comes with all its glory . 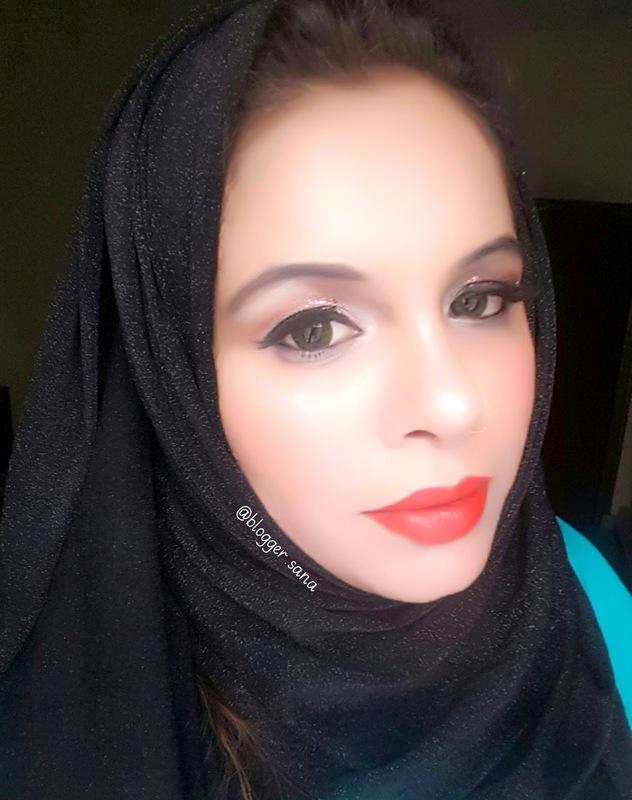 Getting up early , putting on some makeup in a hurry to go for Eid prayers . Not only that , as a woman of the house our one foot is in the kitchen and the second one is making sure that kids , hubby , house all are ready to greet the guests including ourselves . 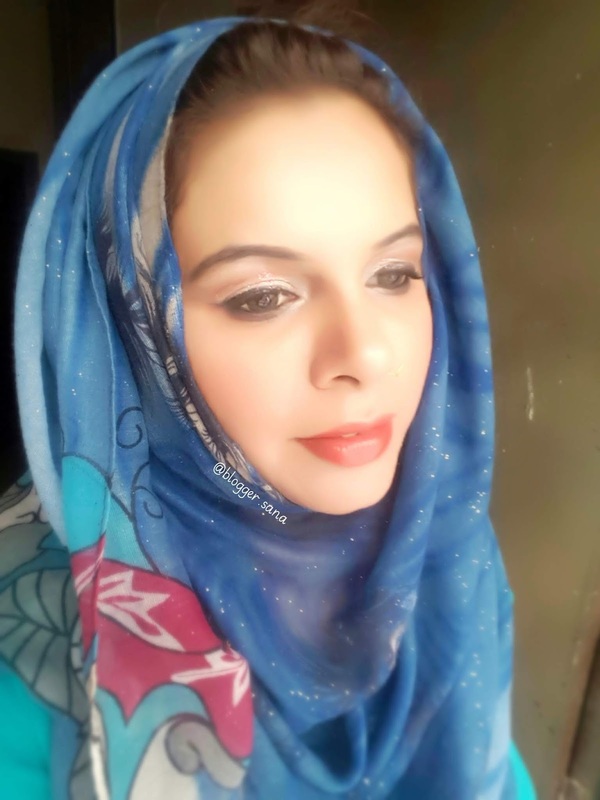 This year I have decided to share some pretty easy Eid Looks that too by using One Brand only that is of high quality and easily available across Pakistan . 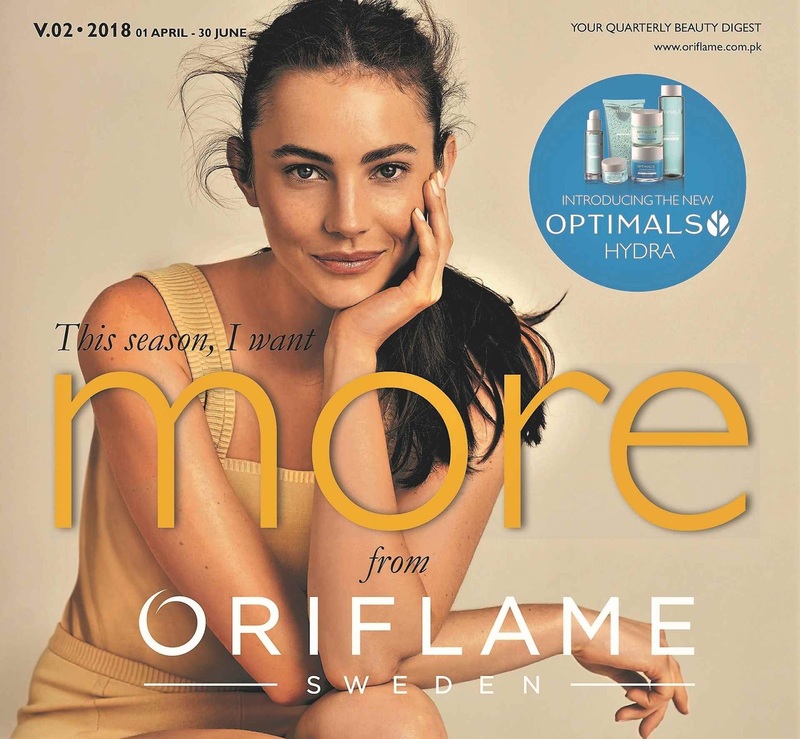 Its Oriflame Pakistan this time . And I am literally blown away by using some of their products . This brand was so under rated . 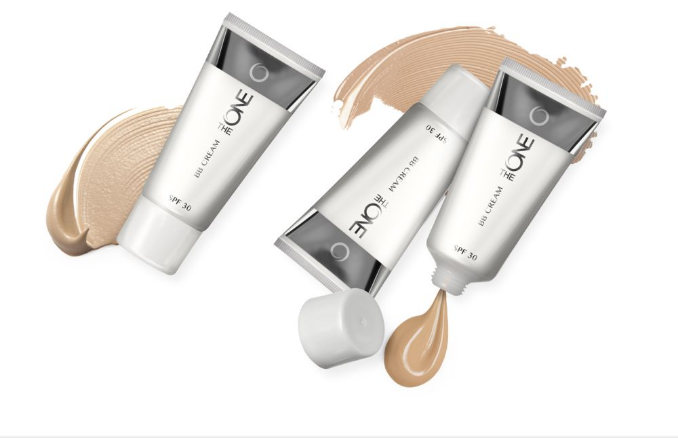 Read my review/looks for the proof ..
"You can not only buy these amazing products but you can also earn money by joining Oriflame team and work towards fulfilling your personal dreams and ambitions. 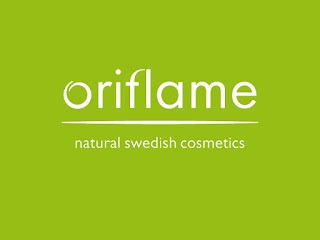 Although working with Oriflame means you’ll be your own boss. 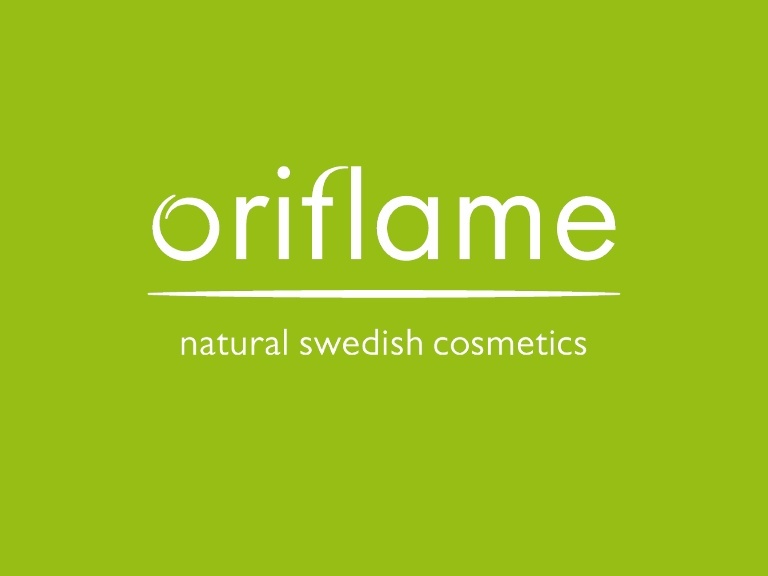 However far you decide to take your career, Oriflame will support you every step of the way. For more information , Check the Oriflame Pakistan website by clicking here . You can also follow them on Facebook , Instagram and Youtube as they have amazing deals offered around the year . I just simply Love this product . Super light on skin , really hydrating , non oily/greasy on my patchy combination skin these days . It gives you a medium coverage . This foundation is really amazing . Easy to blend and work with . 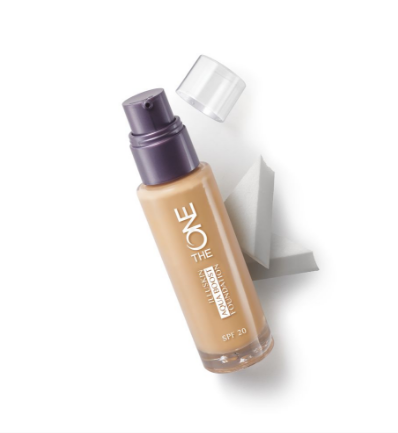 It gives you medium to full coverage also feels super light on skin . It stayed for some good hours on my skin but you might need to set your t-zone with powder while using this . Non oxidizing as well . I am a big fan of L'Oreal and Maybelline mascaras . 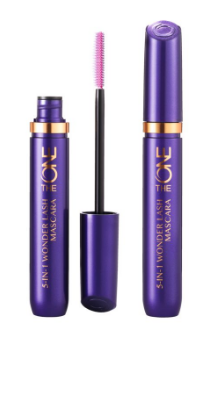 But this mascara is just mind blowing . 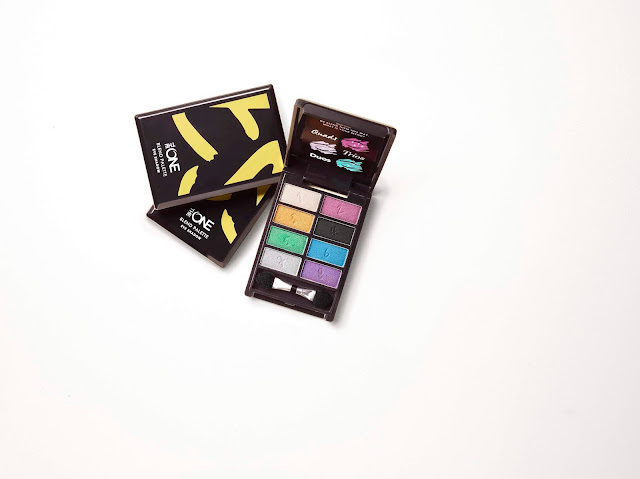 The wand is so perfect that it coats the smallest of lashes perfectly . This one is my absolute favorite . If you are a fan of Maybelline Colossal Kajal like me and have never used any other kajal than believe me you need to give this a try . Perfectly black and matte this pencil was non irritant for my eyes . I have used this as a liner and it just served so perfectly . Non irritant as well as I tested it while using lenses . I tried to post the short reviews so that this post don't become too lengthy . Without further delay I am going to post my three Eid Looks using the above mentioned Oriflame products . 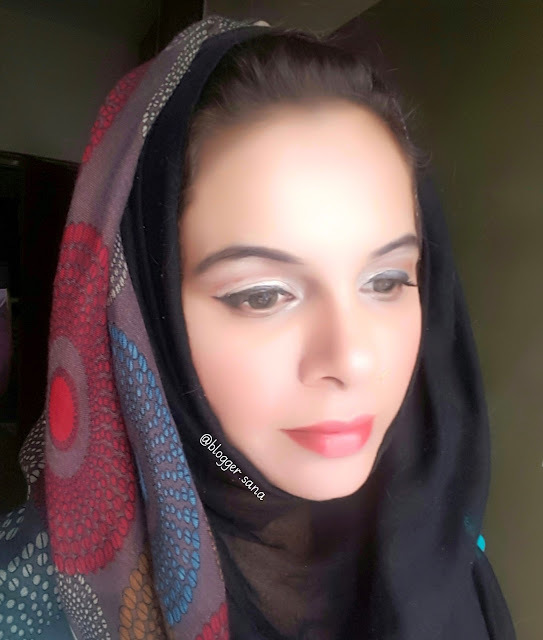 For Busy Eid Noons and for ladies on toes I have created this look . 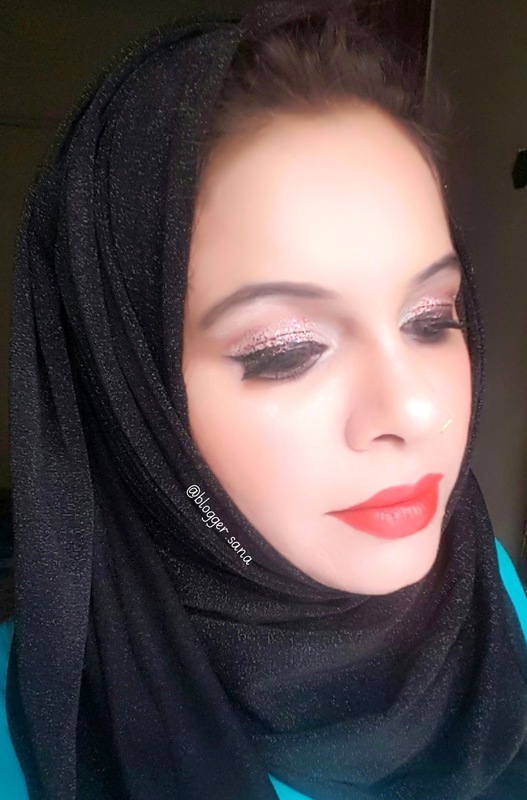 I simply refreshed The makeup here by adding colour on my lid and some subtle glitter on the centre of my lids and refreshing my lipstick and blush . 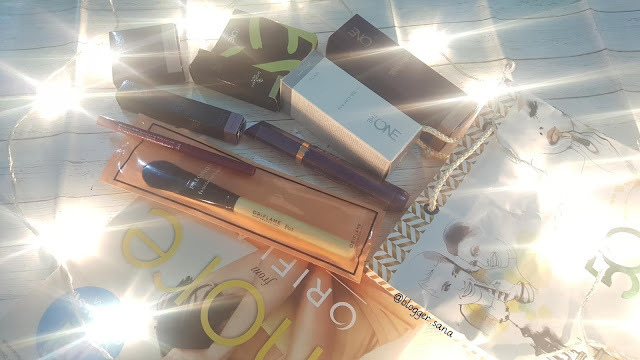 P.S : I tried my best not to lengthen the post but do comment below if you want separate swatches or looking for a detailed review of any of the products used above .